Hey you guys! So, i’ve mentioned a few times that through the summer, my skin is oily and through the winters, it’s dry ! As in, reptilian scales and arid patches -dry! So, as a part of something I was showered with this blue tube, the Dove face wash, and needless to say, I was freaking out! It was meant to be. 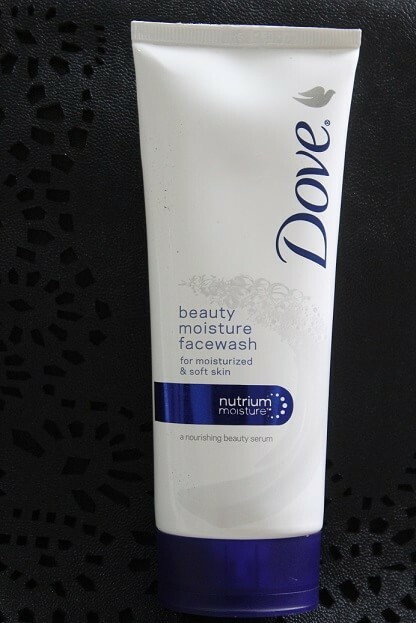 So today, i’ll be typing up a review on the Dove Beauty Moisture Face wash (with Nutrium Moisture for moisturized and soft skin ). Packaging: The packaging of this little tube, i fell in love with. 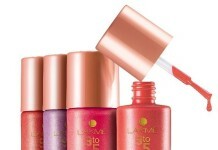 It’s a fresh deviation from the classic old face wash tube , and the colours and design are really sleek . One minor issue here is that because of the size of the tube, the amount of product dispensed is a little bit more than you would need. 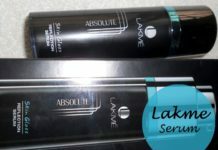 Fragrance: Sadly enough, there was no fragrance to it once you lather it up ( i like my face washes to smell like fruit baskets) , but in the tube, it does have that oh-so-familiar Dove scent. So for those of you who have sensitive sniffers and don’t like the soapy fragrance, good news! Texture and Consistency : It’s the regular cream based face wash consistency (as opposed to the other gel based face wash formulas) , but i find it to be slightly runny , almost a slightly denser version of cetaphil . It foams up pretty well, which gives me the pseudo satisfaction of having a squeaky clean face. 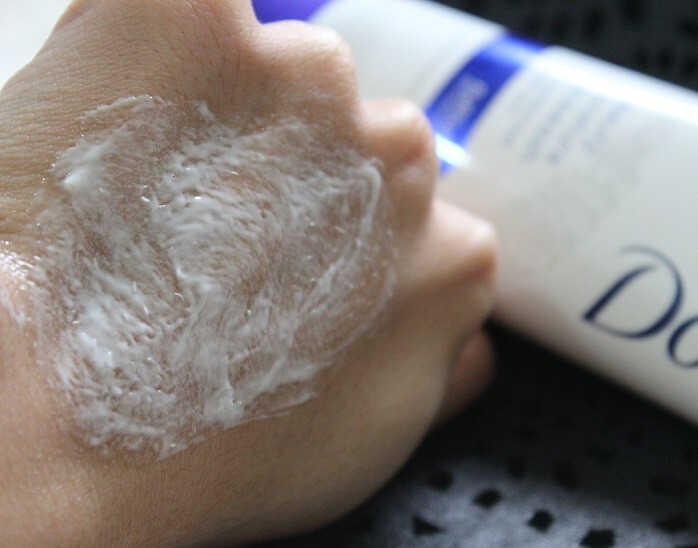 But since i dispensed too much of the product the first time i used it, i found that it made my skin BONE-DRY! word to the wise, be careful with the amount of product you use. 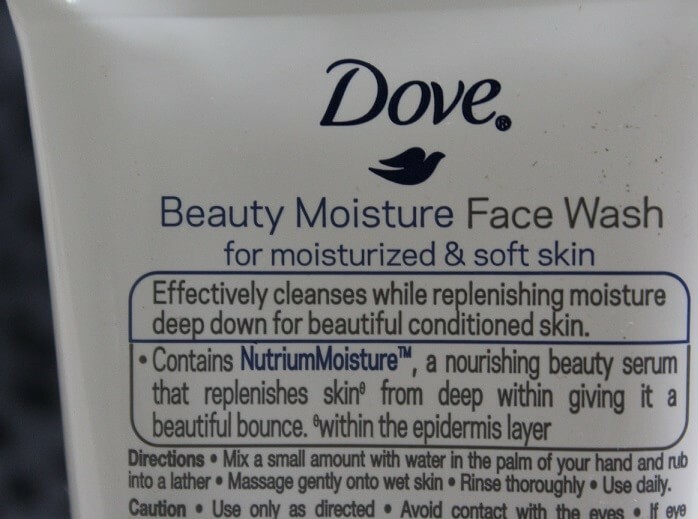 Did Dove Beauty Moisture Face Wash work for me? After my first fiasco using it, i waited a good 4 hours and tried it all over again. Managed to actually get a tiny enough amount out, and success at last! The face wash did lather up just as well this time too, cleaned up my face pretty well, and i did notice my pores were a little smoothed out . I didn’t really feel any of that promised hydration , but it did manage not to dry my skin out . Which i guess for me, through the winter is always a plus. 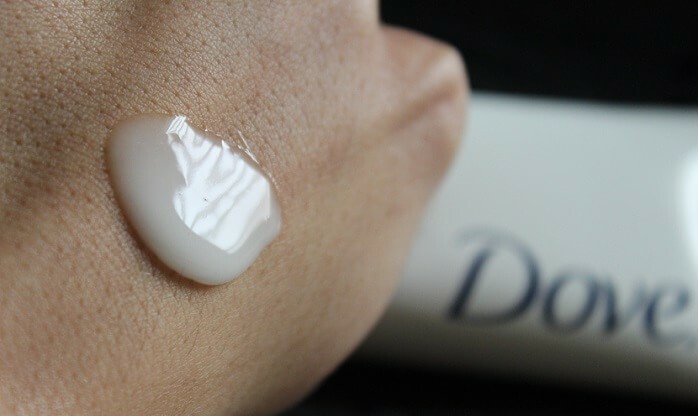 What i don’t love about Dove Beauty Moisture Face Wash? The scent . As i’ve mentioned, i prefer fragranced products . I would have preferred the packaging to be slightly more functional for dispensing a smaller amount of the face wash.
Price: The facewash retails at Rs 180 , for a 100 grams of product which is very decently within the drugstore price range. Verdict? For the price, the quantity, the quality, it’s a good buy . 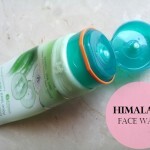 Definitely better than the regular non-hydrating face washes out there and relatively decent for winter. But if you’re used to something like cetaphil, i wouldn’t recommend switching it out. I love using face washes. 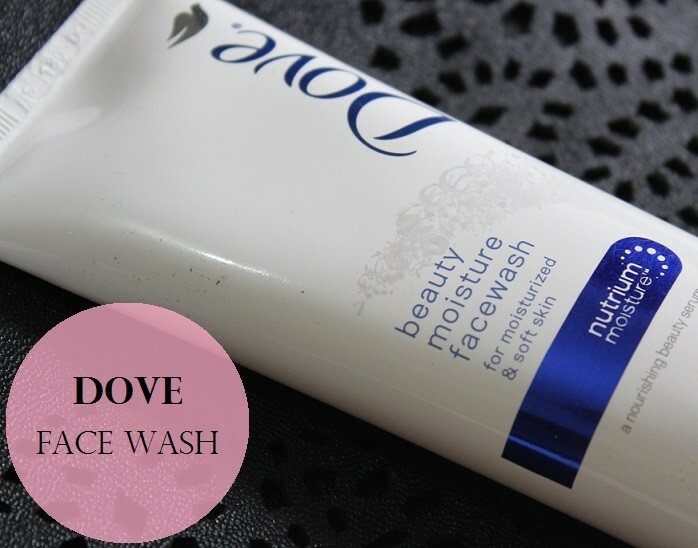 I have seen Dove face washes for a long time, but because didn’t see much reviews, always walked away from these. I am so trying out in summer. 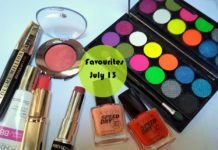 Nivedita recently posted…With L’Oreal Skin Expert Skin Perfect, we have skincare for every age! I don’t know why, but over the yeras I feel that they have become a bit less moisturising :( Is it just me? you’re right . 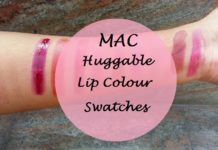 If you’re used to some of the milder ones, the drugstore kind always seem slightly harsher! 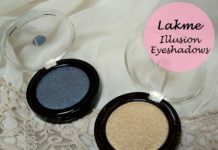 I have used this one and looks great! 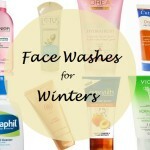 I have the same skin type of your’s and this has become my HG winter face wash! 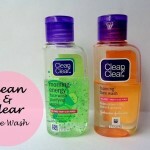 Leaves skin Squeaky Clean and doesn’t dry it out! 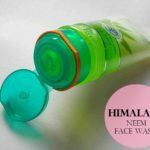 try the himalaya neem one sweety, and if that doesn’t work out, the khadi neem one is amazing. 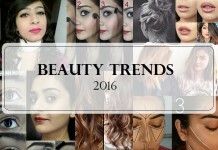 They’re budget friendly and neem will keep your pimples at bay.